Kerry Brennan-White was named as the North Shore Vipers Hockey Director in January of 2019. Kerry played an instrumental part in building the program in the two years leading up to being named Director, including coaching and assisting with the planning and instruction of NSV skills. Kerry is a native of Charlestown. She was a Captain at Boston Latin, where she was a three-time Boston Globe and Boston Herald All-Scholastic. She was also a Boston Herald Dream Team member and Boston Globe Super Team Member. In 2003, Kerry was named the Massachusetts High School Female Ice Hockey Player of the Year, and earned a spot to play for Team New England in the Women’s Chicago Showcase. After a decorated High School Career, Kerry played hockey at University of Southern Maine and UMass Boston before an injury ended her collegiate playing career. In addition to her outstanding work with the Vipers, Kerry led the U10 Wilmington Youth Girls Hockey team to Divisional Championship in the MYCGL and its first ever Mass State Championship in 2017. She is also the Girls Youth Director of Wilmington Lacrosse and coaches various teams including at the select level. 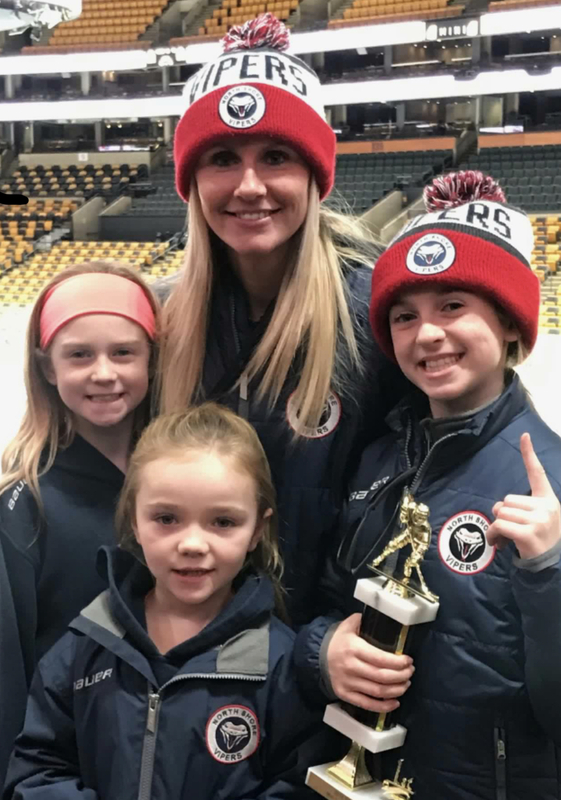 Kerry, whose three daughters play hockey, is focused on working hard to advance the development of every girl in the Vipers program while passing along to the next generation of women hockey players the same values and love for the game that she was taught.